Sarah Wood is a Wirral-based artist specializing in watercolour. She has written a number of magazine articles that have appeared in publications, including International Artist, Leisure Painter, and Paint, the magazine of the SAA. Nov 2014: Exhibited at Palmengarten, Frankfurt. May 2014: Winner of the Margaret Granger Memorial Silver Bowl at the SBA exhibition at Westminster Central Hall. Apr 2014: Publication of commissioned article for Leisure Painter magazine. Apr 2014: Winner of Schmincke Award at the Royal Institute of Painters in Water Colours exhibition at the Mall Galleries. Oct 2013: Finalist in the Caran D’Ache Competition at the Mall Galleries. Aug 2012: Step by step article published in International Artist magazine. Nov 2010: People’s Choice award in the “Simply and Best” competition, run in conjunction with Art Materials Live at the NEC in Birmingham. Oct 2010: Finalist in International Artist Magazine, Still Life and Floral Competition. July 2009: Highly Commended in the Artist of the Year Competition with the Society of All Artists. May 2009: Paint magazine included Sarah as their Profiled Artist for the month, and her paintings of tulips was selected for the front cover. 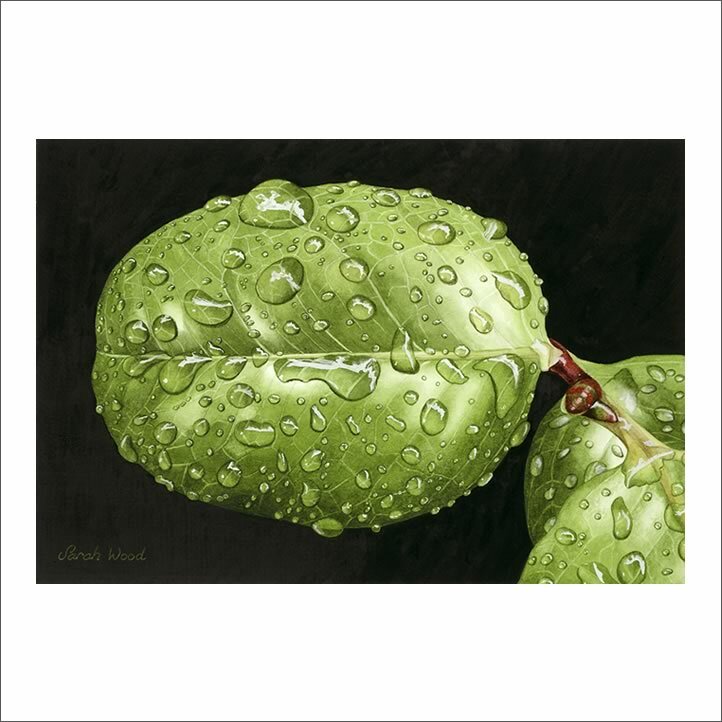 Sarah is a member of the Society of Botanical Artists, Wirral Society of Arts, and Irby Artists’ Association.